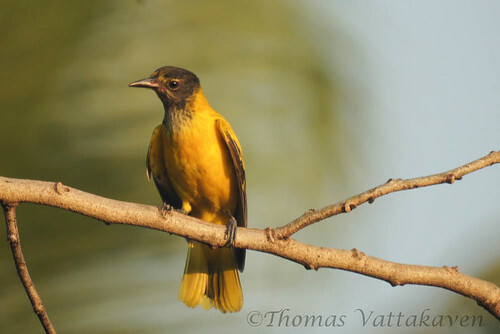 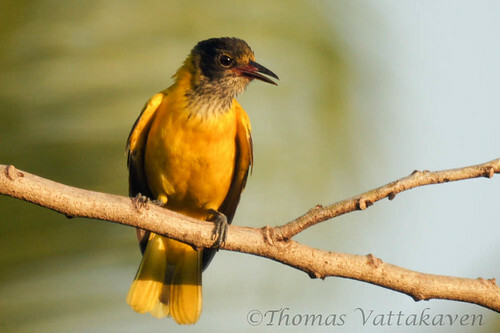 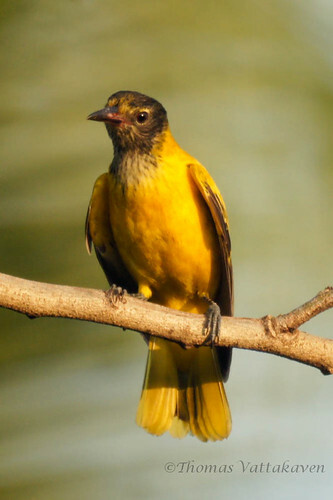 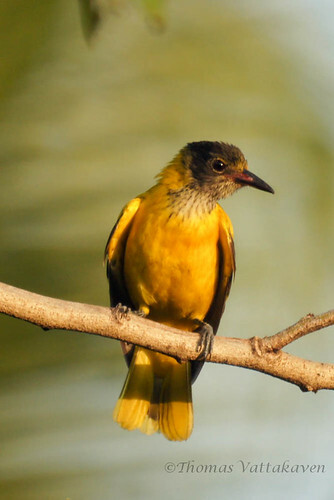 Having already presented the black-naped oriole and the Eurasian golden oriole, the other species of oriole found here in Karimannoor is the black-headed oriole (Oriolus larvatus). 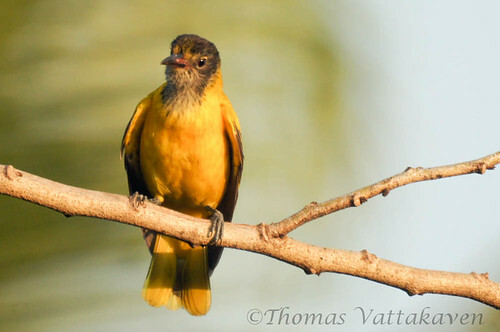 Unfortunately, I havent been able to capture images of an adult bird as yet, however, I do have those of an immature one. 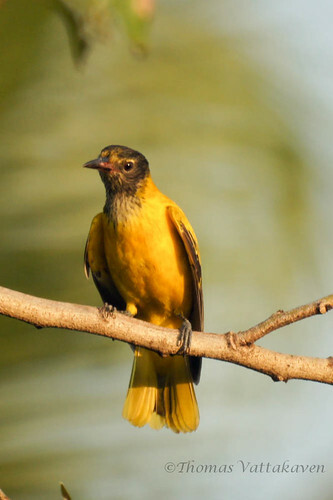 The immature bird is nowhere near as resplendent as the adult one.